Whether you're bulking or leaning, weight-training should be incorporated into your fitness routine. Men and women alike can burn fat and build muscle by making weight-training a major part of their health and fitness goals. Exercise helps you to sleep better, live longer and feel happier. 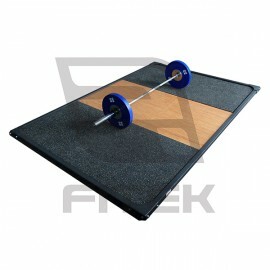 Buying cheap weight plates from FITEK is a way to add balance to your life, without the need to even purchase a gym membership. While it's always good to continue to mix cardio into your routine, a weight set is the ideal way to ensure you're getting the most out of every workout. The great thing about weight training is the ability to progress with each session and track your own success, so you can see exactly how the hard work is paying off. 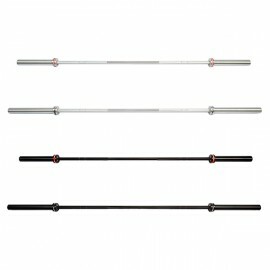 If you're in the early days of building a gym, you can buy a barbell and weight set to give you a head start. We sell women's barbell and plates packages that comprise a 15kg chrome barbell, a set of 150kg standard plates package, a pair of barbell collars and gym chalk. Our male's weight-lifting package comes with a 20kg chrome barbell, 150kg standard plates package, a pair of barbell collars and gym chalk. We pride ourselves on the variety of bumper plates available for both beginners and professional lifters. Our competition plates are available in a range of colours and range from 5kg to 25kg, with the option to purchase a competition package of bumper plates for Australia. With complete packages and accessories, buy a weight plates set for all sorts of exercises, including power lifting, Olympic lifting, cross-fit training, functional fitness training and conditioning. The simple barbell and weight sets adds complete versatility to your workout, with the ability to focus on almost all body parts. It is truly a staple item in all gyms that aim for a complete collection. The collection from FITEK comes in different styles and colours, depending on your preferences. All plates are of Olympic standard and come in pure black, colours and dotted patterns. Whether you are looking for stand-alone standard plates of commercial grade bumper weights, or a complete package in all styles and for all purposes, we have the quality equipment. For amazing savings while you work towards your goals, check out our fitness equipment sale. We offer coloured bumper plates for Australia gyms and individuals, ranging from 5kg all the way up to 70kg, meaning complete beginners and competitors can enjoy lower prices. Your only competition is yourself and FITEK was established to help you exceed your fitness goals, so you can look and feel great and never stop progressing. Buy weight plates to outfit your entire gym with weight-lifting products, or dedicate one section to strengthening, sculpting and building muscle. Either way, our extensive range helps you to smash your goals. 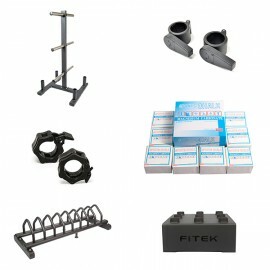 When you buy from FITEK, you know you're buying quality, affordability and reliability.